SINDHUPALCHOWK, Oct 26: China has begun repairing Araniko Highway which was badly damaged by the devastating earthquakes of 2015. 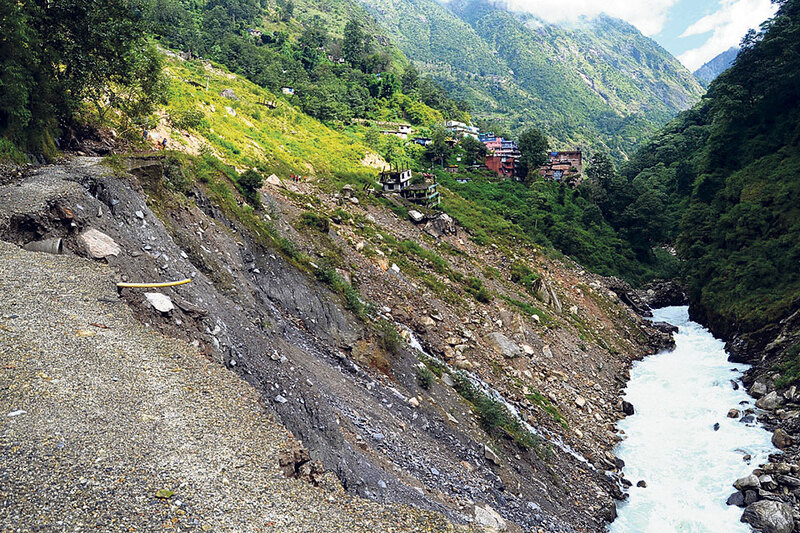 The subsequent flash floods had cut off Nepal's access to the northern neighbor, China. CRCC, the company which is constructing a dry port in Larcha of Tatopani, has started repairing the damaged highway. Chairman of Bhotekoshi Rural Municipality, Rajkumar Paudel, said that a road track opened by the company from Kodari has reached Liping Bazaar on Thursday. Two powerful excavators and approximately 20 Nepali laborers are working on the project. The Chinese company commenced repairing the most damaged and high-risk regions of the road section. Huko, site manager of CRCC, informed that the bridge linking Nepal and China will be connected by road track within two days. The site manager said that the construction of a six-kilometer road linking Liping and Larcha will also begin after Tihar. The construction of the dry port was initiated in 2012 but was halted following the devastating earthquakes that killed nearly 9,000 people. The reconstruction, which has commenced once again, means that the northern border point will reopen soon. The company is tasked with completing the construction of the port within eight months. China itself has expedited the reconstruction of the damaged road section in Khasa of Tibet Autonomous Region. The Chinese team which started repairing the road from Nelam has reached Khasa. Preparations have been made to build an immigration office in the border point once the road is repaired.